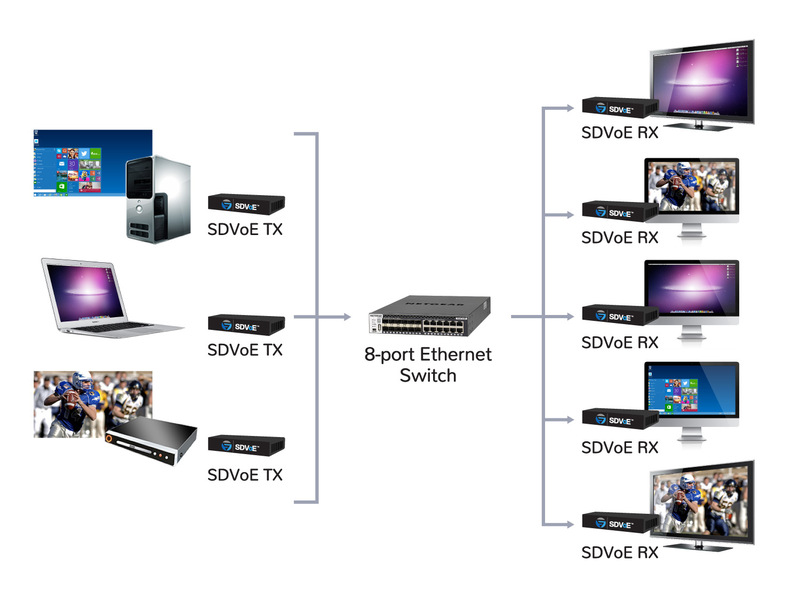 SDVoE technology replaces the traditional matrix switch with a more flexible, scalable, reliable and more affordable solution. Ethernet ports are bidirectional so you no longer have to consider inputs vs. outputs, just how many ports you need. Ethernet switches can be stacked and scaled to thousands of ports. And the massive economies of scale involved help IT suppliers deliver more reliable switches more cheaply than the old AV manufacturers ever could.